A surge in ticket sales pushed the value of the Mega Millions jackpot to $540 million on Thursday. Lottery officials said "significant public and media interest" has spurred an onslaught of new ticket buyers willing to try their luck. That continuing surge is likely to push that figure even higher before the next Mega Millions drawing at 11 p.m. Friday. If a winning ticket is claimed following Friday's drawing, the winner can choose to take the total jackpot in annual payments over 29 years or opt for a one-time payout of about $380 million minus taxes. A Mega Millions drawing has not produced a grand prize winner for about four months, causing this jackpot to swell to record levels. At $540 million, it's the third biggest Mega Millions game ever. It's also the seventh largest jackpot in U.S. lottery history. Powerball, the other major multi-state lottery game, has already produced two top-10 prizes so far this year -- including the record busting $1.586 billion jackpot that was claimed in January. Both games have nearly identical rules, but Powerball tickets are slightly more expensive at $2 or $3 each. Mega Millions tickets are $1, or $2 if the buyer opts for a $1 "Megaplier" add on, which is available in most states. Mega Millions is played in 44 U.S. states, D.C., and the U.S. Virgin Islands. 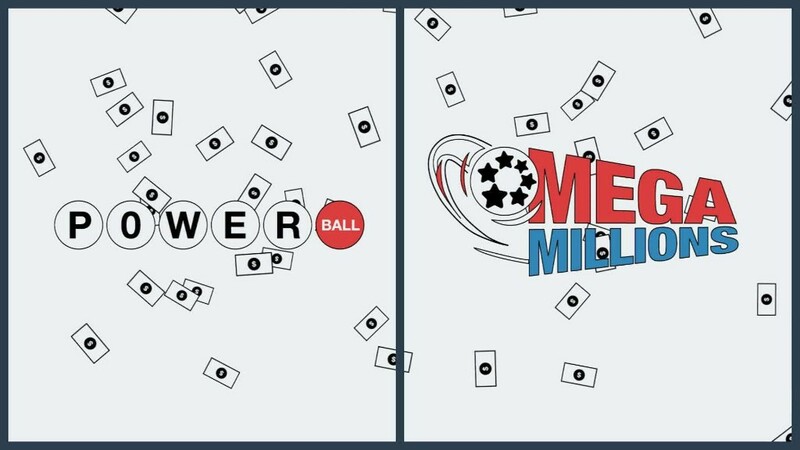 Similar to Powerball, players choose six numbers: five regular numbers and a yellow mega ball number. The "Megaplier" option can increase the value of a non-jackpot prize -- which are awarded for partial matches -- by up to five times. But it doesn't affect the value of the grand prize. To claim the jackpot, a ticket must match all five white ball numbers and the yellow mega ball. It's a feat with extremely long odds -- about 259 million to one.